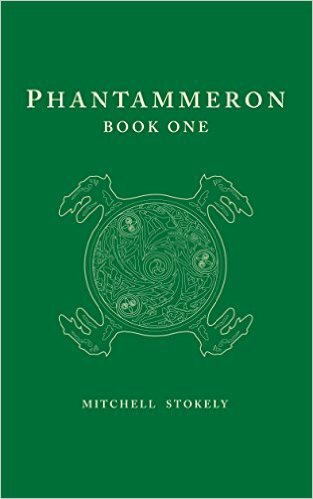 Mystery, romance, tragedy, and treachery abound in the rich mytho-poetic fantasy world of the Phantammeron. In Book One, the cosmos is created by the Essence Eternal for his sons, the Primordial Ones. But their savage conflicts soon destroy the world their father had made, leaving their children to face the sinister beings that rise up to complete its destruction. A boy-child alone survives, cast away by his mother into the pits of Oblivion, where he is raised by the black spirit that dwells there. Bound to hate and vengeance, he seeks to slay his parents, but finds instead a beautiful maiden trapped at the bottom of the sea. A girl-child is born, thrown ashore on the beaches of Phantaia where she is found by a white unicorn and carried into its interior, far from the forces of darkness that her father has sent to find her. In the heart of that perfect paradise she finds love and endless bliss with a mysterious boy that dwells there. But a mystical tree in the heart of Phantaia and the strange temptations of an enchanted pool will lead her to a greater truth. Phantammeron means “Book of the Forest” and is named for Phantaia, the mysterious Forest of Twilight where the One Tree and the Sacred Pool lie hidden. 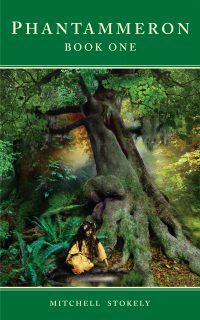 All of the books in the Phantammeron series will cover the mythical history of this forest, whose creation and conflict revolves around the enchanted waters of an ancient pool. The global struggle surrounding the pool and the redemption of the characters tragically affected by it is the main theme in the series. Look for BOOK TWO of the Phantammeron in 2017! Even more characters, more mysteries, more drama!